SAFECOM, in conjunction with its member associations, the Emergency Communications Preparedness Committee, and many additional members of public safety, has worked for over the past year with the Cybersecurity and Infrastructure Security Agency (CISA) to update the National Emergency Communications Plan (NECP). The NECP organizes our nation’s efforts to sustain and improve emergency communications capabilities. It is a critical planning document for public safety agencies and all those involved in the safety and security of our communities. Now the broader community has the opportunity to review and provide feedback on the NECP updates. Key proposed updates to the NECP address the range of changes public safety stakeholders face including rapid technological advancements, increasingly complex incidents, and constrained resources. For example, the update offers a new cybersecurity goal to help improve public safety’s cyber security posture. A staggering 81% of local agencies that responded to the SAFECOM Nationwide Survey reported they had insufficient or no funding for cybersecurity efforts yet nearly 40% reported cyber disruptions impacting their emergency communications. Additionally, the NECP offers an updated graphic and explanation of the emergency communications ecosystem. This key concept has served the community well as it articulates the breadth and inclusiveness the people and functions involved in emergency communications. The draft also revises content on important advancements made in data interoperability, FirstNet adoption, personnel impacts and much more since the last update in 2014. You can access the draft updated NECP on the DHS webpage. Please review the document and submit your feedback via the comment form to oecnecp@hq.dhs.gov by March 22, 2019. 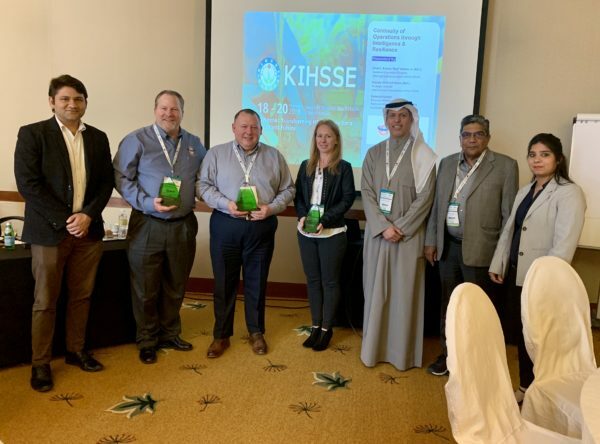 On February 20, 2019, the International Association of Fire Chiefs (IAFC) partnered with NAPSG Foundation to develop and deliver a training workshop on Continuity of Operations through Intelligence & Resilience at the Kuwait International Health, Safety, Security, and Environment Conference in Kuwait City. The training was delivered as a certificate-earning all day workshop for a group of 20 leading Emergency Managers and Planners from the petroleum industry, Kuwait government ministries, and staff from the Secretariat General of the Gulf Cooperation Council. This training focused on building knowledge, skills, and the overall capacity of Emergency Managers and Planners responsible for protecting petroleum-related critical infrastructure, as well as protecting the life and safety of the communities surrounding key infrastructure in the region. 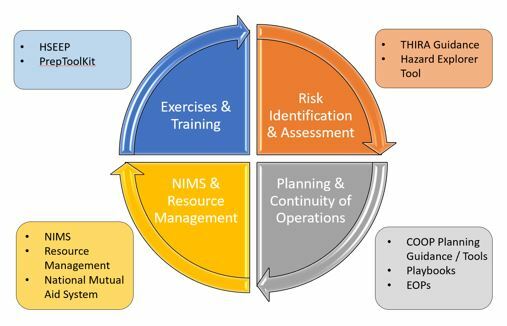 The graphic below illustrates the how the training workshop was organized to effectively build knowledge and skills in all key areas of preparedness to support business continuity in the event of a major incident. NAPSG Foundation and IAFC provided live demonstrations of existing GIS-based tools and resources relevant to each training module, thereby illustrating how preparedness and planning for continuity of operations can be enhanced through rich data analysis and decision support tools. Provided below are the materials developed and delivered for this training workshop. NAPSG Foundation was honored to work with the IAFC in support of building a culture of preparedness in Kuwait and the Gulf Coast Region, and is gracious for the invitation of the KIHSSE Steering Committee to support this important training opportunity. 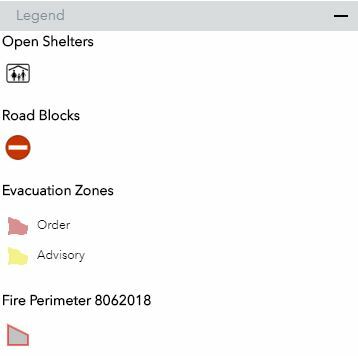 NAPSG Members, for those of you in the Emergency Management Community, we would like to know how your agency is using GIS for preparedness and operations. Please read below to know how you can contribute your expertise! 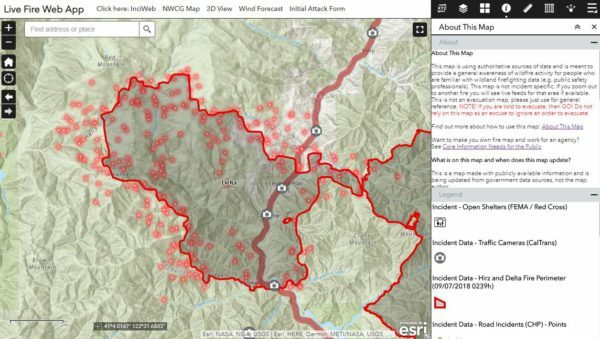 As part of the Emergency Management Institute (EMI) Advanced Academy, Chris Corwin (GIS Analyst/Disaster Services Coordinator for Blaine County in Idaho) will be writing a short paper based on the results of a survey he has created on the current status of the utilization of GIS in Emergency Management. In order to better explore this topic, Chris needs your feedback! He has created a short survey that will identify who uses GIS, how often they use it, and why some Emergency Managers do not currently use GIS. Using the results of the survey, Chris will summarize the findings in his paper and offer ways that we can better encourage GIS usage into all emergency management activities. 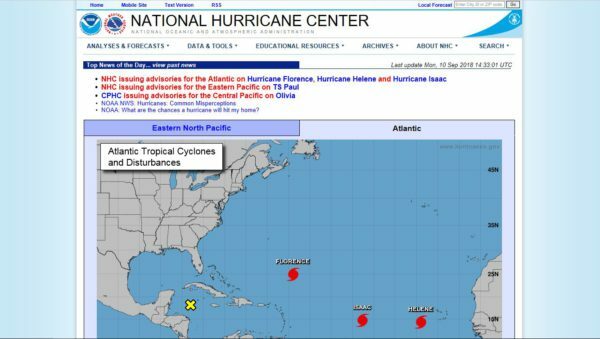 In the 2019 Winter Edition, ArcNews posted an article describing how organizations are “employing Web GIS before, during, and after disaster” using Hurricane Florence as a case study. 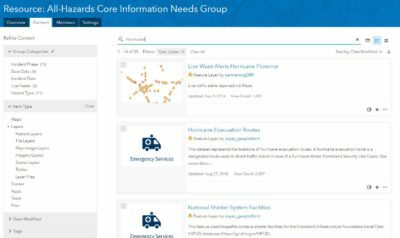 One example provided in the article Weathering Hurricane Florence is the 2018 Hurricanes Crowdsource Story Map, which was hosted by NAPSG Foundation and supported by volunteers from the GISCorps, NAPSG SAR Working Group, NZGIS4EM, and CEDR Digital. 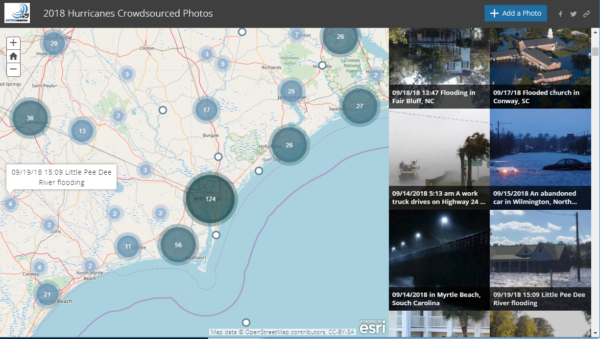 Crowdsourced photos were added to a live map to provide early situational awareness before Hurricane Florence even made landfall. Paul Doherty (NAPSG Foundation Programs Manager) and Peter O’Rourke (NAPSG Foundation Executive Director) also provide their perspectives on the advancing use of geospatial tools during disaster. Additionally, the article highlights Humanity Road for their assistance to the US Coast Guard, and the GIS Teams from City of New Bern, NC, and South Carolina Emergency Management. 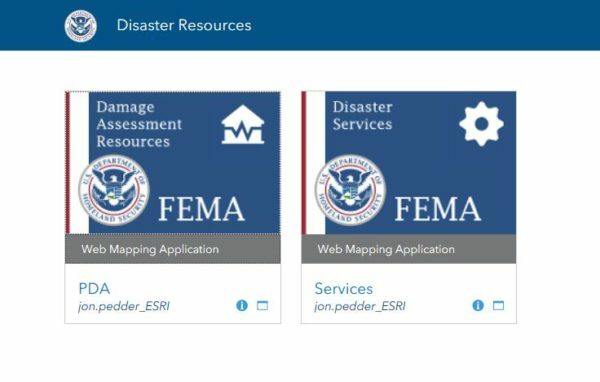 These examples from Hurricane Florence provide insight beyond just geospatial technology used in response; they illustrate the deeper need for a dedicated community of GIS Specialists, emergency managers, and first responders to be prepared for the complexity of tomorrow’s disasters. If your agency would like to learn more or expand their knowledge on GIS, find technical or support services, contribute expertise, or become a NAPSG Foundation partner, click here. Please join us for this year’s combined — Annual HIFLD Feedback Session & GeoPlatform Workshop! The 2-day meeting will be a collaborative event focused on “Driving Progress through Partnerships.” The interactive meeting will also provide opportunities for the community to share feedback and build partnerships through collaboration and networking. Portions of the event will be provided by webinar, but we encourage you to join us in person if possible. Please see the Announcement and draft Agenda for further details. For more event details and registration, click here. The Emergency Management Specialist (Geospatial) position is now available in Washington, DC. The position will remain open October 11th through October 18th. NAPSG Foundation is pleased to announce that nominations are open for the 2018 Award for Excellence in Public Safety GIS. Please click on the link below to nominate a member of the public safety community who should be recognized for leadership and achievements in significantly advancing the use of GIS for the public safety and homeland security community. 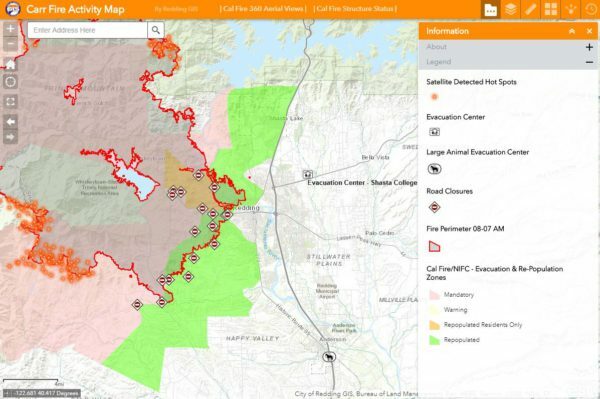 Awards will be presented at the 2018 National Geospatial Preparedness Summit, in Boulder, CO.
On September 5th, a human-caused fire started near Interstate 5 at Vollmers/Delta exit, north of Lakehead, California (approx. USNG 10T EL 48432 32226). It grew rapidly to the northwest, and California Interagency Incident Management Team 5 assumed command. If you’d like additional official and up-to-date incident details, please see InciWeb. Shortly after the Delta fire spread to more than 15,000 acres, the Siskiyou Daily News reached out to NAPSG Foundation to find out if there are any resources available that would provide some public situational awareness. We provided links to InciWeb, as well as a web map template that we make available to agencies at no-cost. InciWeb then embedded an example web mapping application using the web map template. In the article, Dr. Cassie Hansen, a local Atmospheric Science and GIS Specialist, explains what is on the map and how it should be used. Please note: This is NOT an evacuation map! For evacuation information, please see InciWeb. 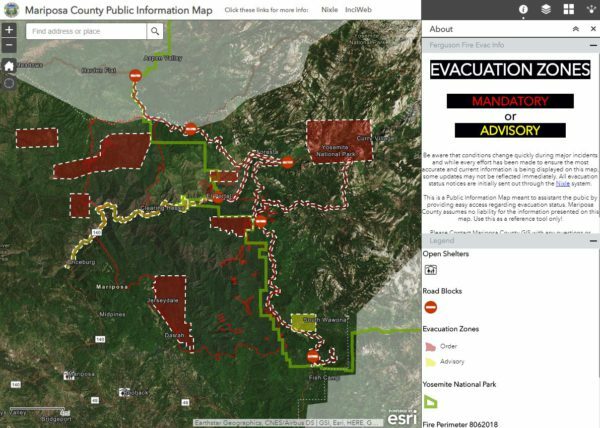 As mentioned in our previous post, Core Information Needs for the Public, NAPSG Foundation is prepared to assist agencies with Public Information Maps in advance of human-caused and natural disasters. 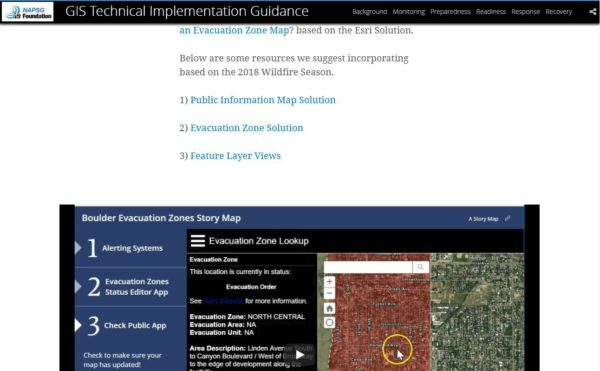 If you are interested in learning more and interacting with other public safety agencies that use geospatial tools, check out the Resources page and sign-up for the upcoming 2018 National Geospatial Preparedness Summit. Screenshot from the Delta Fire, September 7th at 10:00 AM local time. See Map Link for updates.